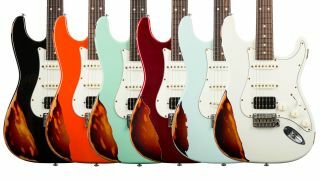 Be still, our beating hearts: Suhr has launched a limited line of Finish Over Finish Classic Antique guitars, with ‘painted-over’ nitrocellulose lacquers. Each guitar features a solid thin nitro finish over a three-tone ’burst, which is then aged to expose the two finishes. 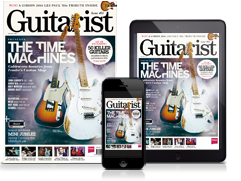 Just 200 of the guitars will be produced - they’re available with a rosewood fingerboard in HSS or SSS pickup configuration, in five finishes: Black, Candy Apple Red, Fiesta Orange, Olympic White and Surf Green. Elsewhere, the guitars offer alder bodies, maple necks, ML Standard single coil pickups (with option of SSV humbucker) and Gotoh 510 vibratos. The Finish Over Finish Classic Antique models are available now for $2,845 (approx £2,189/€2,427) apiece. See Suhr for more info.